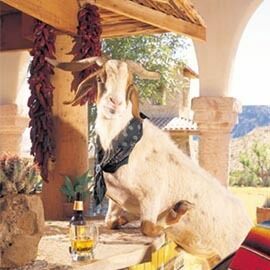 It would be fair to say that the Mayor of Lajitas is lazy, and that all he does is stand around and drink beer. It would not be slander to say that he is a murderer, that he killed his father in a fight over a female. 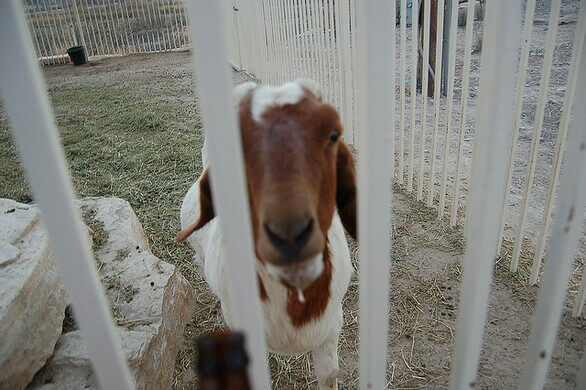 In fact, if you called the Lajitas Mayor a filthy, drunken goat, you would be right. That is, quite literally, what he is. In the 1980s a joke race for mayor began between a Houstonian and a local goat named Clay Henry. Though the Houstonian won the first election, the goat took the second in a landslide. Goat mayor Clay Henry gave way to goat mayor Clay Henry II, who was killed by his son and current goat mayor Clay Henry III. 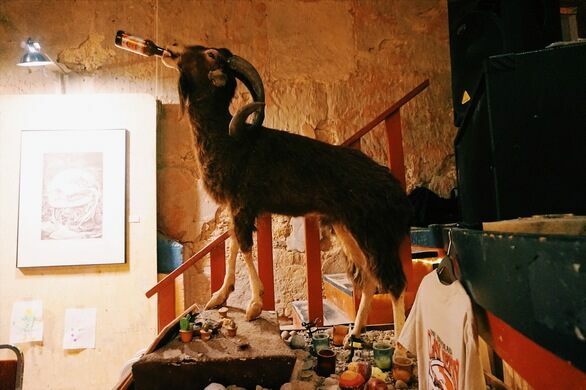 Being the goat mayor obviously comes with perks and being fed a steady stream of beer — all you have to do is put an open bottle in Clay’s mouth, he knows how to chug it for himself — is one of them. Clay Henry Sr. was known to drink as many as 35-40 beers a day, however his offspring are said to have a lower tolerance. Fame is another of the perks of being goat mayor and visitors come from across Texas to feed Clay his usual staple of Lone Star longnecks. Clay Henry was even featured in the “Streets of Laredo” television series. Of course there are definitely downsides to being a public official. Clay Henry III found this out in the most horrifying way possible when one of his unsatisfied residents saw him being fed beer on a Sunday when the state law forbids the sale of alcohol. Having threatened to do so for years, disgruntled local Jim Bob Hargrove promptly castrated the goat — a common practice in farm animals, but a very uncommon thing to do to a Mayor, no mater how much people might want to. Ranchers sutured up the wound, and Hargrove was charged with animal cruelty. Fortunately Clay Henry III recovered quickly and was drinking down beers by the very next day. 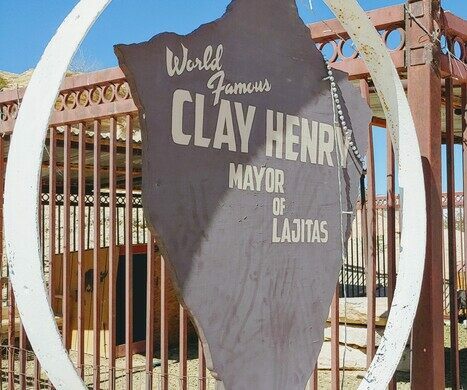 Ownership of the town has traded hands over the years and eventually became the property of a wealthy businessman who, since the 1980s, has been turning Lajitas from a near ghost town into a golf resort. 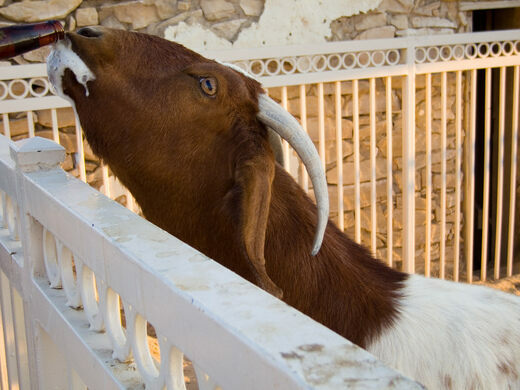 Though despite the addition of a wine and espresso bar, people still clamor to feed the goat mayor beer, and Clay Henry III still clamors to drink it. West on Ranch Rd. 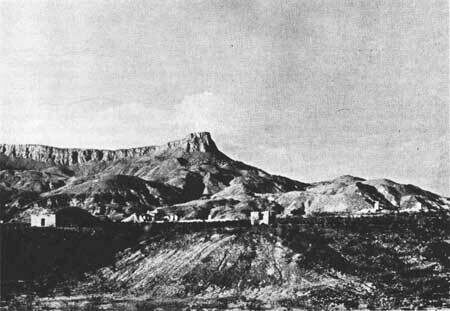 170 from Terlingua. A ghost town at the airport is now a refuge for blue butterflies.